Klankman’s opening statement appeared in 2014 when Maarten Epskamp joined the ranks of The Hague’s legendary label Bunker. After the debut and the following EP on Tar Hallow, Klankman moves ahead on the road to the heart of rough acid scene, with a release on the Milan label Details Sound, run and founded by Giuseppe Magistro and Matteo Fabbri. The three-tracker “Illumination Through Feedback Distortion” is another trespassing to the lands of machine-driven mutations, whereas the title track could by easily filed under ‘experimental noise’. It challenges the perception of Klankman serving primarily the floor, because sunken in distortion and dissonances, the track sounds off-sync and no-go, but gradually its length of over 11 minutes, unforgiving drum machine and synth screams make it a rattling experience. Staying in distorted dimensions, thundering and winding “Beginnersgeest” has all the ingredients of proper acid hypnosis and giving us a little pun with the title, “Fatal Morgana” observes the 303-planted landscape at the usual 120+ BPM rate, smoothened by glimmering pads and delays. 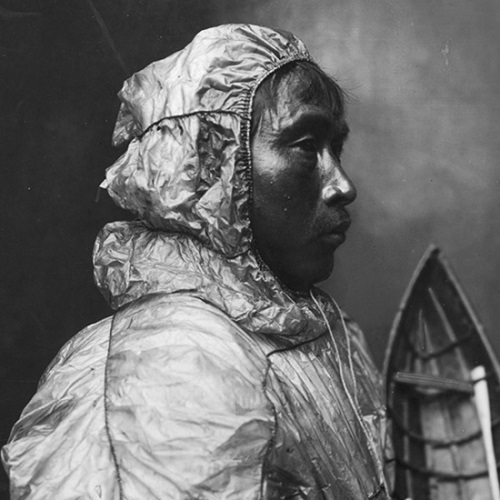 It’s worth to mention that impressive sleeves of Details Sound are picturing ancient natives from all over the world and for Klankman, an Eskimo man has been photographed in a studio in Nome, Alaska in the early 1900s.